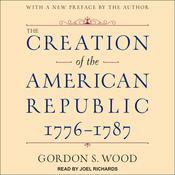 A New York Times Book Review Notable Book of 2017 From the great historian of the American Revolution, New York Times-bestselling and Pulitzer-winning Gordon Wood, comes a majestic dual biography of two of America's most enduringly fascinating figures, whose partnership helped birth a nation, and whose subsequent falling out did much to fix its course. Thomas Jefferson and John Adams could scarcely have come from more different worlds, or been more different in temperament. Jefferson, the optimist with enough faith in the innate goodness of his fellow man to be democracy's champion, was an aristocratic Southern slaveowner, while Adams, the overachiever from New England's rising middling classes, painfully aware he was no aristocrat, was a skeptic about popular rule and a defender of a more elitist view of government. They worked closely in the crucible of revolution, crafting the Declaration of Independence and leading, with Franklin, the diplomatic effort that brought France into the fight. But ultimately, their profound differences would lead to a fundamental crisis, in their friendship and in the nation writ large, as they became the figureheads of two entirely new forces, the first American political parties. It was a bitter breach, lasting through the presidential administrations of both men, and beyond. But late in life, something remarkable happened: these two men were nudged into reconciliation. What started as a grudging trickle of correspondence became a great flood, and a friendship was rekindled, over the course of hundreds of letters. In their final years they were the last surviving founding fathers and cherished their role in this mighty young republic as it approached the half century mark in 1826. At last, on the afternoon of July 4th, 50 years to the day after the signing of the Declaration, Adams let out a sigh and said, "At least Jefferson still lives." He died soon thereafter. In fact, a few hours earlier on that same day, far to the south in his home in Monticello, Jefferson died as well. Arguably no relationship in this country's history carries as much freight as that of John Adams of Massachusetts and Thomas Jefferson of Virginia. 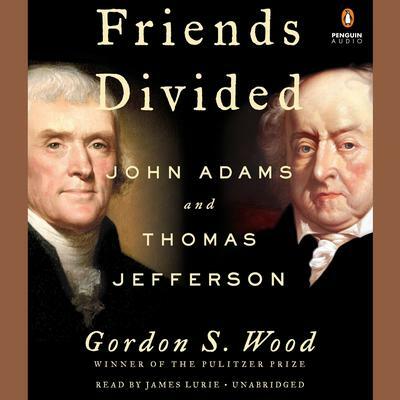 Gordon Wood has more than done justice to these entwined lives and their meaning; he has written a magnificent new addition to America's collective story. For decades now Gordon S. Wood, the Alva O. Way university professor of history at Brown and winner of the Pulitzer Prize, has been the go-to authority on everything related to the American Revolution. That Wood has written “Friends Divided’ —a finely-crafted dual biography of Adams and Jefferson — is therefore a hearty cause for celebration. Every page sparkles with literary eloquence, flawless analysis, and dramatically plotted history that contains a lesson for a riven time. Gordon S. Wood is the Alva O. Way University Professor and professor of history at Brown University. His 1969 book, The Creation of the American Republic 1776–1787, received the Bancroft and John H. Dunning prizes and was nominated for the National Book Award. His 1992 book, The Radicalism of the American Revolution, won the Pulitzer Prize and the Emerson Prize. Wood contributes regularly to the New Republic and the New York Review of Books.